Thanks for taking your time to read it. I decided to create this guide to provide all the information about building an animated clone even for people who are complete beginners and have no knowledge about the whole process and tools. This guide has been approved by Jason Rutledge (RL CO) and Markus Zimmerman ( CoR DCO). They are a great source of information, always (ok, mostly) willing to help. 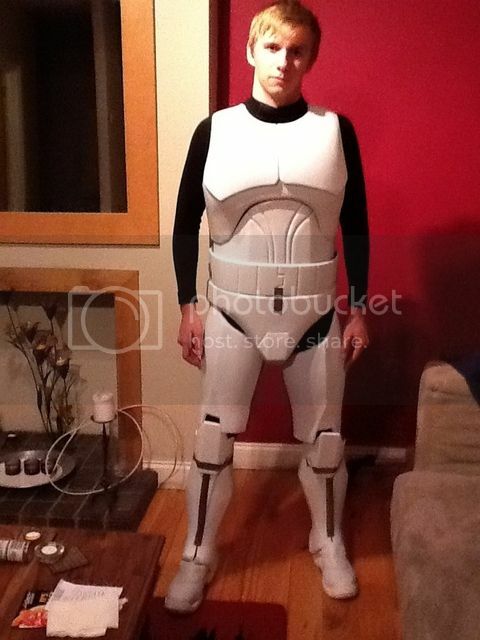 I can show you how to make a clone costume from a perspective of a newbie. So let’s start! Before you start working on a costume you have to understand that it is not a cheap project. You may think “oh the kit costs 350$ so it can’t be that expensive”.. but it is. Depending on where you live, you have to remember about taxes and customs as well. Each costume is not only made of the kit. You need a lot of other stuff. 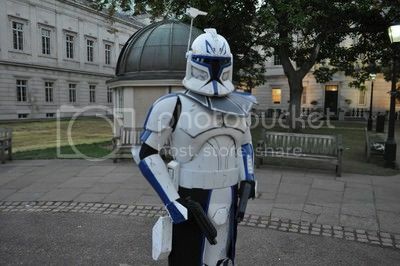 I made Captain Rex myself so I had to get a lot of extras that’s why I went for a cheaper option. As you can see, the list is getting bigger and everything becomes more expensive. Let me make a price comparison for you. You have two options (for phase 1). Significant price range, estimated around: 350-600$. 1.	kwdesigns’s kit. 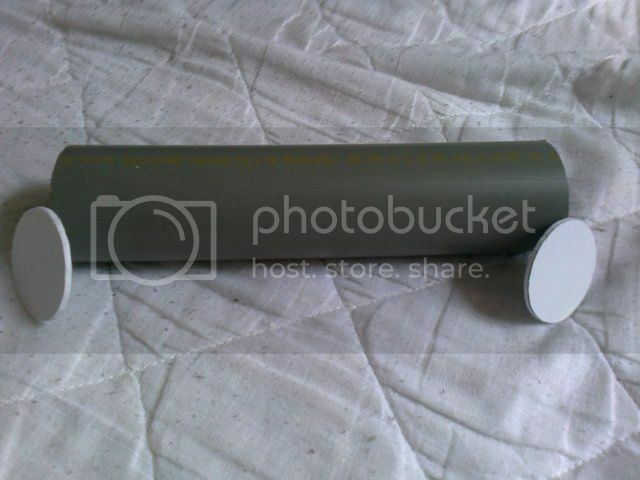 What you get here is good quality, good customer service, reasonably easy to assemble but pricy. However, with this kit you get thermal detonator, shoe straps and usable boxes which are not included in the other kit. 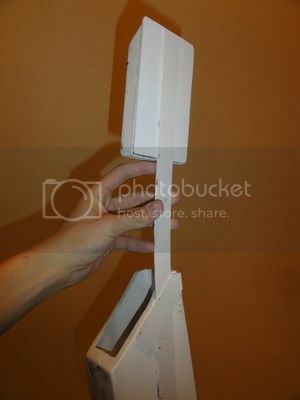 Also, kwdesigns made an extensive tutorial on all parts of the assembly. 2. WCA/ATA kit. This kit was made by WCA and is produced by ATA. It is definitely cheaper option. Why is it more difficult to assemble? There is no detailed guide on how to assemble the kit but there are some pictures with comments on what to do with some parts. 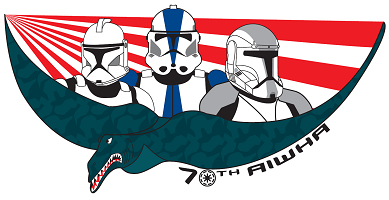 If the most important factor for you is cost – go for WCA/ATA because you will save quite a lot of money and it’s not a problem to make a thermal detonator, shoe straps or usable boxes yourself. If money is no problem for you and you care more about quality and assembly then I would suggest kwdesigns. Shipping of the kit is around 70-80$ to Europe. It is hard for me to compare helmets as I have seen only kwdesigns’s – I ordered it myself. There are probably 3 helmet makers – Marcello, kwdesigns and Sean. Prices are very similiar, nearly same (approximately 250$) but in some cases you will have to make padding yourself or get range finder from someone else. kwdesigns – with range finder and padding included. Sean (PM for contact details ) – no range finder or padding. I was very happy to order it from kwdesigns because again, assembly of his stuff is easy. He provides padding (hard hat hardware) and visor with the kit. In other cases you usually have to ask for visor, have to order range finder from someone else and then think how to make a padding. I may be biased but I think kwdesigns’s helmet is great and all you have to do it to get a bigger screw (explained in the letter from kwdesigns). Gloves, undersuit and neckseal. What I got myself was gloves and undersuit from stormtrooperundersuit.com and thermal balaclava from a local sports shop. Undersuit is used by bikers to keep you warm when it’s cold and vice versa. Quite cheap and nice. Watch out for sizes tho! I am usually size M but had to order L. I paid around £40 for soft parts (65$). If you want more movie accurate neckseal, you should check Darman. 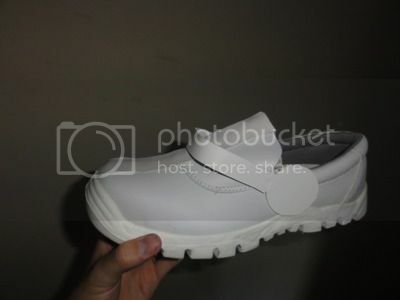 kwdesigns has a tutorial how to mod shoes to make them clone style. 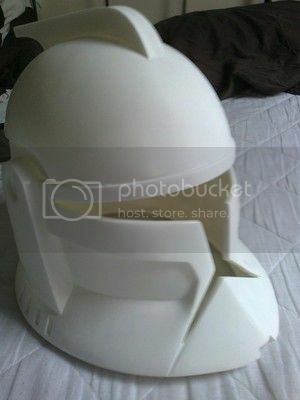 If you want top quality and cash is no problem again, go for crow62 as he is making the most accurate clone boots in the universe but you have to be prepared to pay ten times more than if you made it yourself. 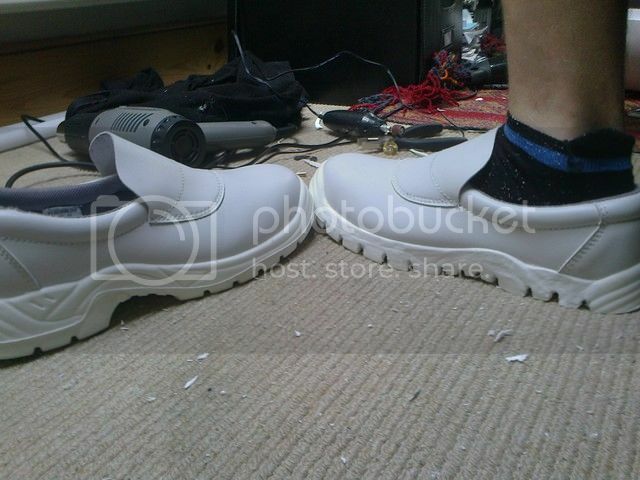 I bought safety shoes, made some modifications and the total cost was… £10 (16$). You see the difference. So it’s all up to you. Depending on a type of clone you want to make, you have a few options. Starting at 75$ up to 180$. Woodchuck – amazing wooden guns (any type). If you are from Europe and already upset with taxes, you can go for Snowflake who makes 2 pistols for a reasonable price (I ordered it myself, quite satisfied). Steelblitz can make you holsters with pistols for 185$. And there is also the last option – Sean (PM for contact details) who makes the cheapest pistols. It’s not included in WCA/ATA kit but it’s not really a cost at all. Two options here. kwdesigns or Steelblitz. Steelblitz is offering holsters with blasters so it is up to you. If you ordered pistols from Europe then go with kwdesignss holsters. 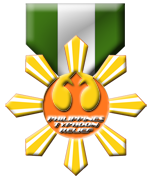 I made it myself so it didn’t cost me anything but if you want a top quality, you can contact general fidelis as he is/was? making them. If you didn’t order a range finder with a helmet from kwdesigns then you can always do it here. It’s around 40$. There is more combination available but I decided to present 3 of them (top quality, cost saving and optimal for me). 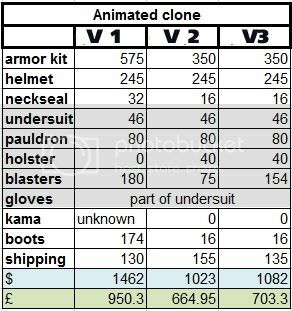 It shows the cost for clone captain - commander will be a bit more expensive but not a big difference. 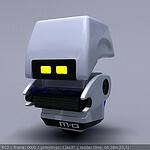 Grunt clone will be cheaper because it doesn’t require that many parts (e.g. pauldron, pistols, holsters, kama). The list does not include taxes and customs which are around £40 if you are from the UK and you are ordering optimal setup. 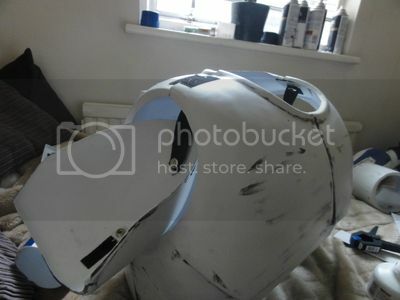 V1 is mostly kwdesigns’s products - kit, helmet, pauldron (can be swapped with General Fidelis). Boots from crow62, blasters with holsters from steelblitz, neckseal from Darman. Optimal set (v3) is ATA/WCA kit, kwdesigns’ pauldron+helmet+holsters, Snowflake’s pistols. The more you order from one person, the less you pay for the shipping. And a tip for European costumers: remember to ask prop makers to claim slightly lower value of the package so that you pay lower taxes. However that’s not the end. You need a lot of tools and I will try to mention them all. 1. Very sharp knife – probably your most important tool so don’t get a cheap one as did I. 2. Dremel (or other rotary tool) – helps you cut, sand and drill. 3. Heat gun – sometimes you will need it to fix some problems with the armor. 4. Glue gun – it’s mostly used for helmet but if you get kwdesigns’s lid, you don’t need it. 5. Paints – for European costumers its Rustoleum. Matt primer, white painters touch matt, black matt, dark grey and others like deep blue (depending on a project). link to a nice paint reference on UKG. For UK members, I would suggest Transtools. They have much cheaper paints than all other shops and you can save like 20GBP just on a few cans of paint. 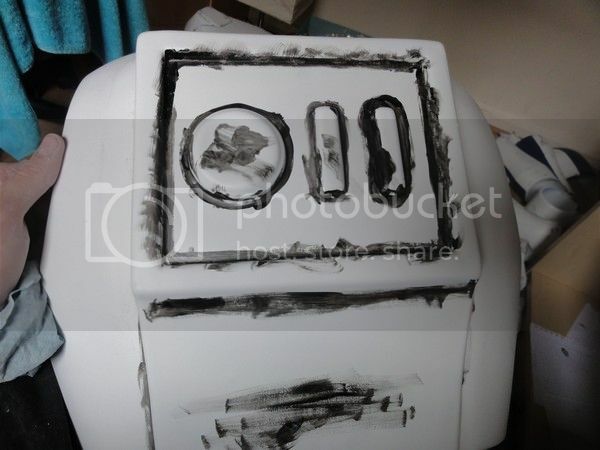 You need around 3 cans of primer, 3 cans of white paint and the rest depending on what costume you are making. I bought 1 can of blue paint, 1 black, 1 grey and 1 crystal clear protective paint. 6. Glue, glue, glue. You need it and you should get a good one! Everyone is saying that Zap-a-gap is the best so go for it! 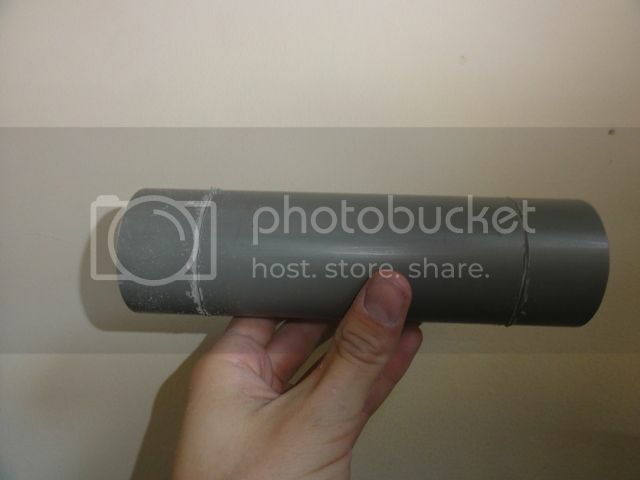 I chose a cheap one (Everbuild Pipe Weld PVC Cement- 3.4GBP), it did its job but could be better and next time I will choose zap-a-gap. And then I had to get some super glue. 7. Rare earth magnets – you will find them very useful when making seamless parts. I would suggest at least discs 10x2mm. I had 20 of them but I should have chosen bigger ones like 10x5mm. 8. 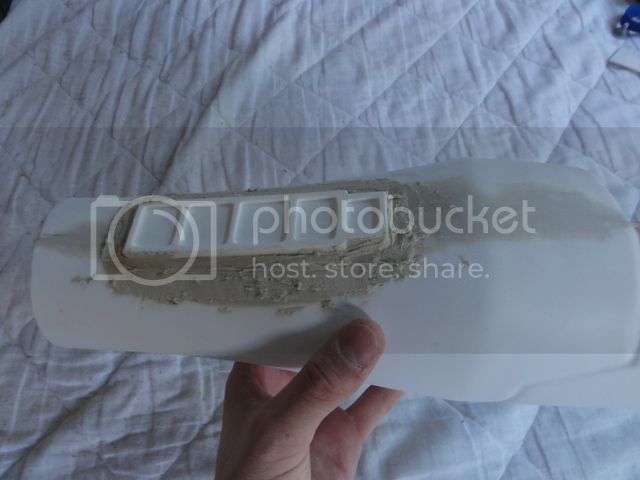 Shoe goo – used for shoes mods, harness suspension or kama. 9. Webbing, elastic straps. I bought 5m each but it was too much. 10. 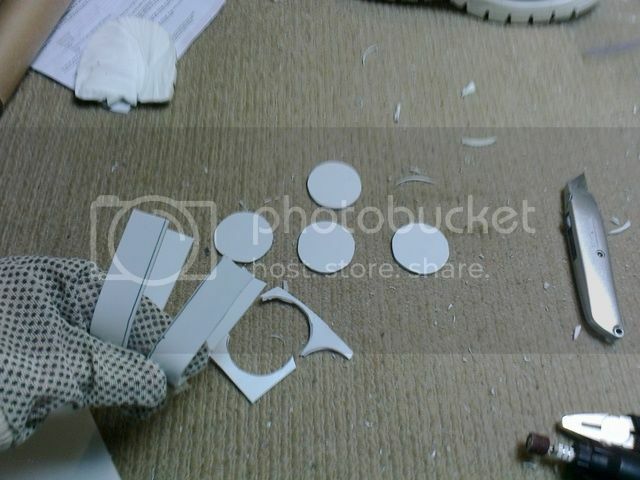 Tapes –masking tape and something strong to help you hold all the pieces together when making a test fit. 11. Some Velcro and a lot of stud pops. 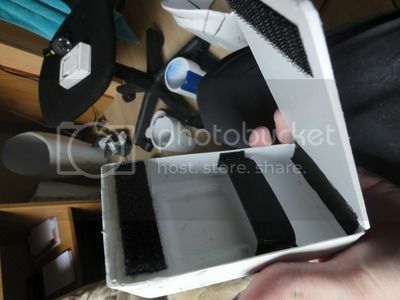 I ordered like 1m of 5cm wide Velcro and 2.5m of 25mm Velcro. 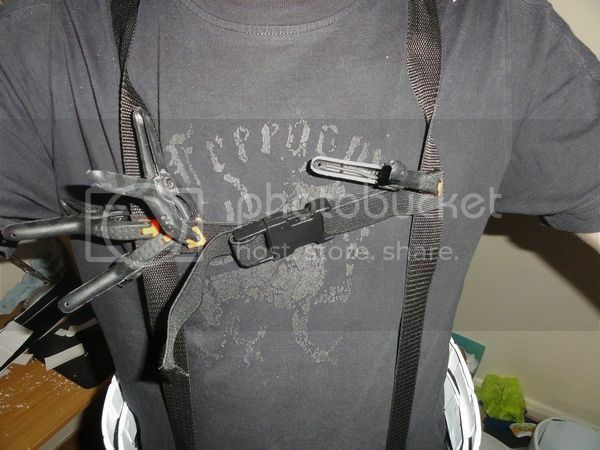 But then I realised it doesn’t hold the costume properly so I replaced Velcro with pop fasteners (had like 30 of them). 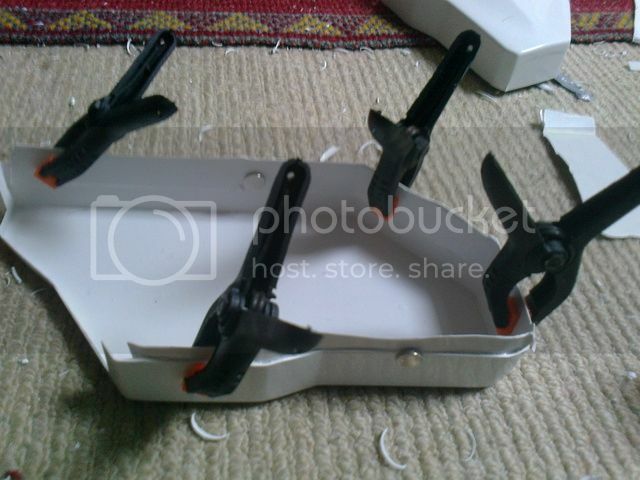 I left some Velcro on belt, belt boxes and in the chest/abs seams. 12. 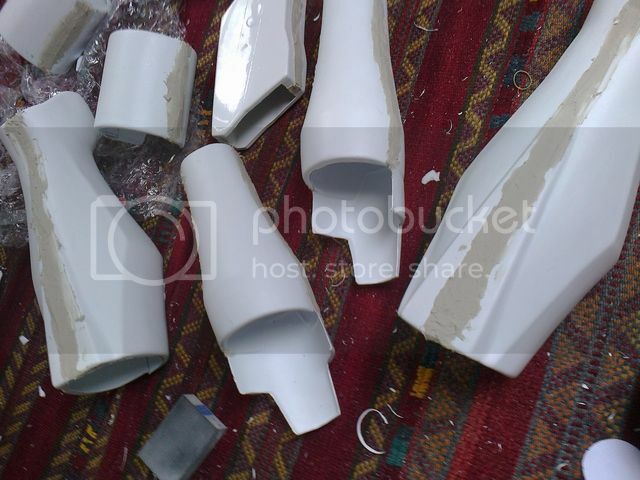 Bondo – something to fill gaps. 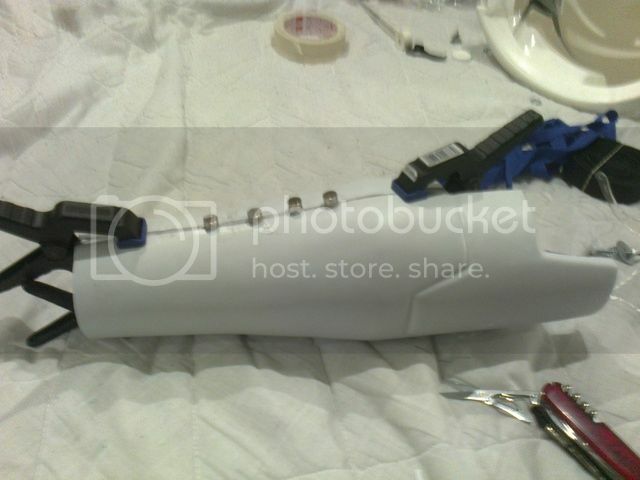 Can be a body filler… I used this one but I wasn’t that satisfied. I mean it fills the gaps, it’s very easy to sand but it doesn’t stick to plastic as good as I would imagine. 13. Sanding paper/sponges. You will need a lot of it with different grits. 14. Protective equipment – gloves and glasses. 15. Clamps – get a lot of them. It’s cheap and it will let you glue more stuff at the same time. More or less that’s all. Bear in mind that other people may use other stuff. I tried to cover all the stuff that I have used. All in all, it was around £100-150 on the tools and equipment needed to make the costume because I didn’t have a single thing that I used to make the Rex so I had to buy all of it. If you are not scared yet, let’s go to the next part – time! - My WIP thread – Rex 1-3. Let’s move on. You know what you need to make the costume. Now it’s the time for “how to”. Animated armor is characterised by standard size. It means that it comes in one size only and you have to fit it yourself that’s why it is not the easiest one to do. 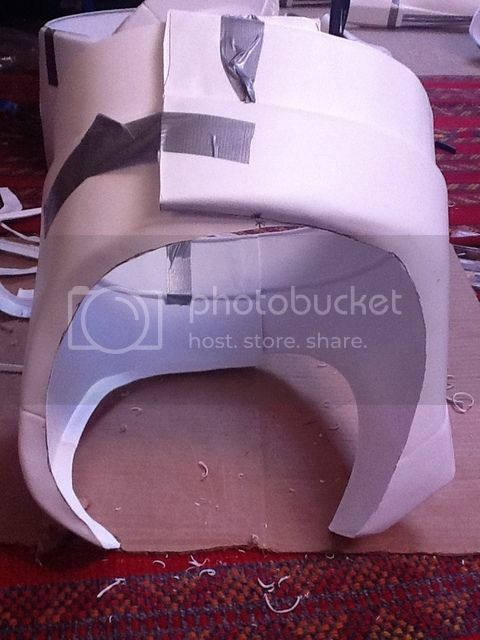 In case of kwdesigns armor, I think you have marked lines showing the initial trim to remove the excess of plastic. With WCA/ATA you have to check the photo gallery as it shows the trim line. Also when you look closely at armor pieces, you will see some lines anyway. Mark the lines on your armor to ensure straight cut. You can help yourself with a tape. What I didn’t know at the beginning is that you don’t have to cut through the plastic all the way down. It is enough if you cut the plastic with a sharp knife to let’s say half of the plastic thickness and they use your pliers to break it out (but be careful with it). DO NOT CUT TOWARDS YOU!!! I made that mistake and trust me, you want to avoid it. The deeper you go with your knife, the safer for your armor it is. Everything depends how good knife you have. I struggled with a dremel at first but it was a waste of time as I didn’t have that good dremel. Once you remove the excess of plastic, do not throw it away as you may need it for seams. Now take some strong tape, tape all the pieces together and try them on. You will see how much more you have to trim to feel comfortable. Mark the new trim line but do not trim only one side of e.g. thigh because you will have too big differences in size. Try to trim half of the excess from one piece and half from the other piece. What you have to remember is that you will have to trim armor in both, width and length. Thighs will be too wide but forearms will be too long. In case of helmet, you will have to remove the plastic from visor area and it’s pain in the a.. because in some parts the width of plastic reaches 1cm which is hard to cut through. Once you get rid of the plastic, take your belt sander or just a simple sanding paper to smooth the edges of all pieces. It may happen that there will be some differences in size of the chest so this is the time to use a heat gun. At this stage you do not have to worry about the pieces that will be open. 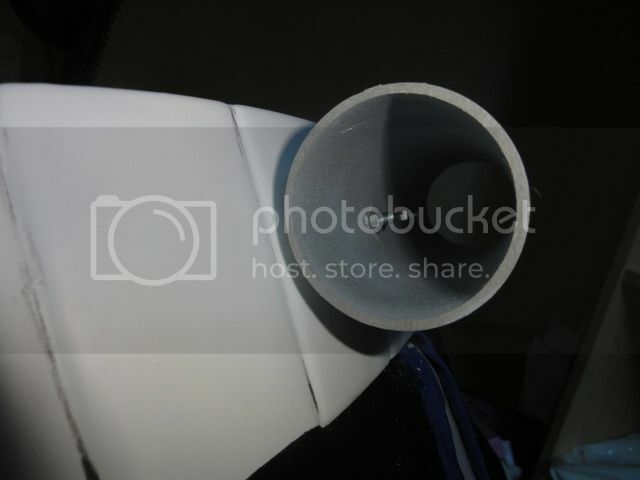 Grab your glue/pipe weld and some plastic to glue pieces that will be seamless. Always try to glue plastic to the piece on its whole length so that they will stick to each other properly and filling the gaps will be easier. 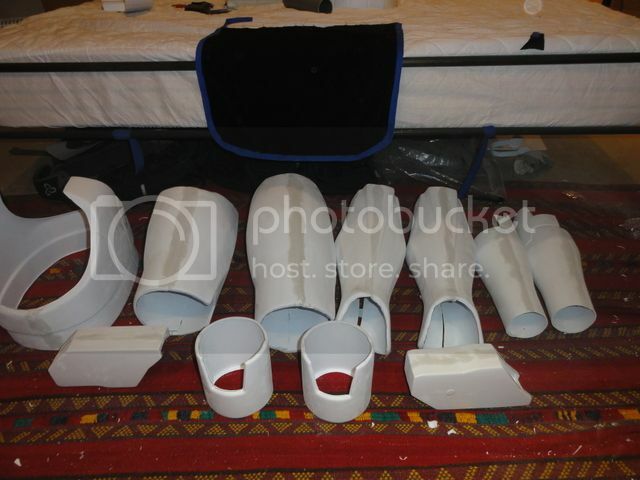 However most parts of the armor are not flat so before you glue plastic to one side, try to form it with a heat gun. It will ensure a good connection. 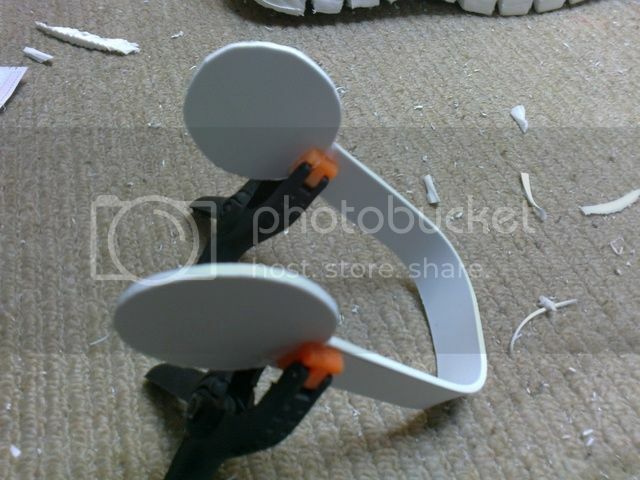 I would suggest gluing plastic to one side first and when glue is set, step over to the other side. 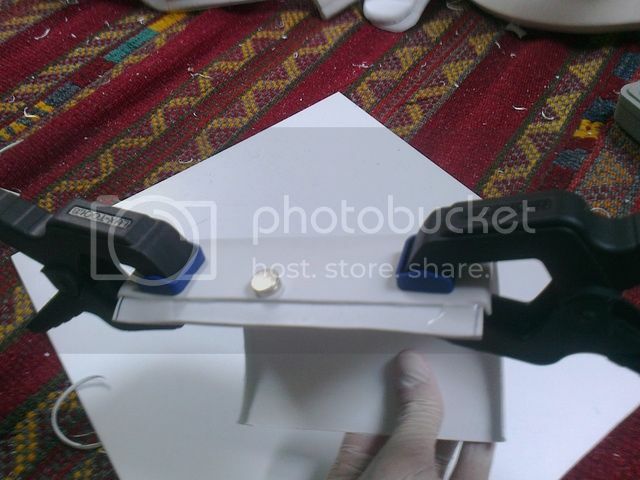 If you can't reach middle of the piece with clamps, use strong magnets. When you finish this part, you can start filling the gaps with whatever you have. I used a body filler and there was no guide how to use it but basically I had to use two parts in ratio 50:1. Do not use too much body filler as you will have to sand it down anyway. Sometimes you may have to repeat this process - if your armor is smooth then you do not have to. In the meantime you should think of shoes, thermal detonator and holsters/boxes. If you need a detonator, go to your local DIY shop and ask for 2" PVC pipe and they should give you a small piece for free. Get two screws and its done. And again, using some extra plastic I made back panels for my boxes and added some straps to make them usable. This is an idea how you can attach box and holster. When you are done with that, it's time for painting! Nothing complicated in here, follow instructions on cans and you will be fine. 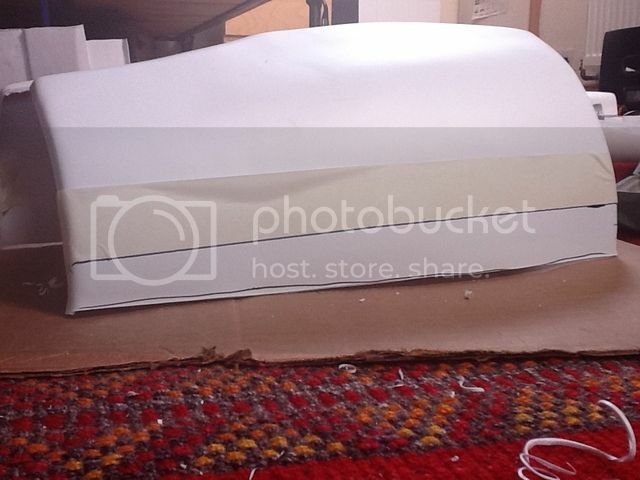 Cover it with 1-2layers of primer and after 24h (optimally) white paint. I didnt wait another 24h to paint blue details, I did it after like 8 or 9h. When painting do not keep a can too close otherwise paint will drop and it will not look too good, same with detailed paint. Remember to mask most if not the whole of the armor when painting details because you want to avoid unnecessary sanding. Masking the armor is not enough to protect it when you keep the can too close! Now the weathering part. There are soo many ways to do it. I decided to go for the one that was available for me at no cost. I had some black matt paint so I sprayed it on a cardboard and used paint brush to apply it on armor. When it dried out, I sanded it down. Quite easy and quick, not the worst effect either. All that's left now is to put it together. 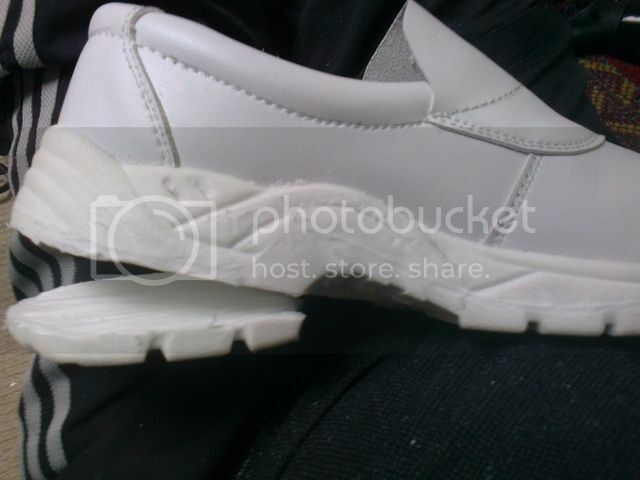 As I said earlier, use pop fasteners/snaps instead of velcro because they are more reliable. If you really want to use velcro to be able to adjust it at some later point, make sure to add some super glue to the adhesive part otherwise it may come off. 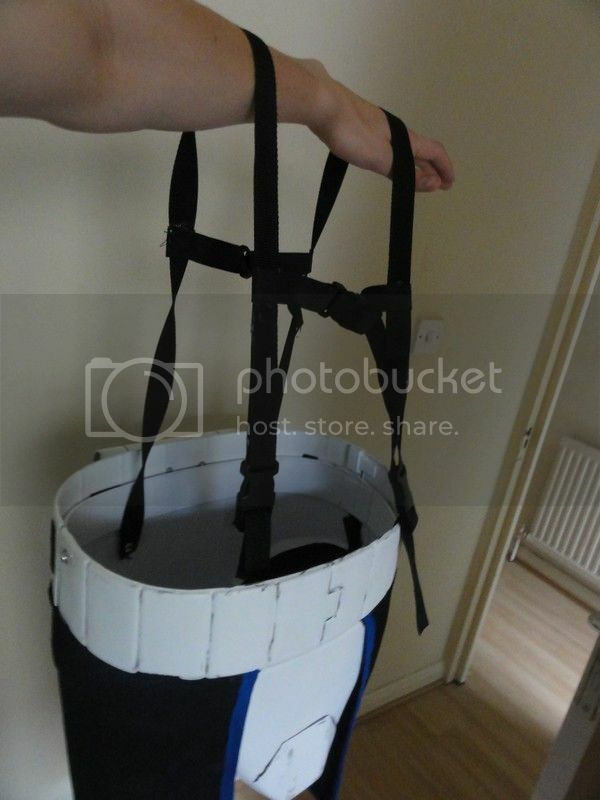 Add some horizontal straps to make sure it doesnt slip down from your shoulder. At this point you will know what you are doing wrong or right and you will be able to make additional changes yourself. I hope it will help someone at some point. I am always happy to offer more help! Have to admit that it was a lot of translation for one day! if you need a Rex phase 2, im about to submit mine and have a build thread and pictures ready to use. let me know. Looks great! Thanks for contributing! Any form of contribution is always welcome if it can benefit the legion. Just wanted to say thanks so much for this tutorial. It was a really big help when I was doing research! WTB posts are not allowed on CTN, so your best bet is to PM the people of whose products you're most interested. And If I can help point you in the right direction, please let me know!